Luxury log home just minutes from Powderhorn Ski Resort. 1972 square foot, 3 bedroom, 2 bath home with heated garage and 28X30 shop on over 1 acre lot for sale in Mesa. Upgrades include: all stainless steel appliances, washer, dryer, built in wine cooler, granite counter-tops, hardwood floors, gas fireplace, 2X6 construction, and vaulted, tongue and groove pine ceiling. The master bedroom is spacious with a walk-out deck. Includes a 5 piece master bath with jetted tub and walk in closet. 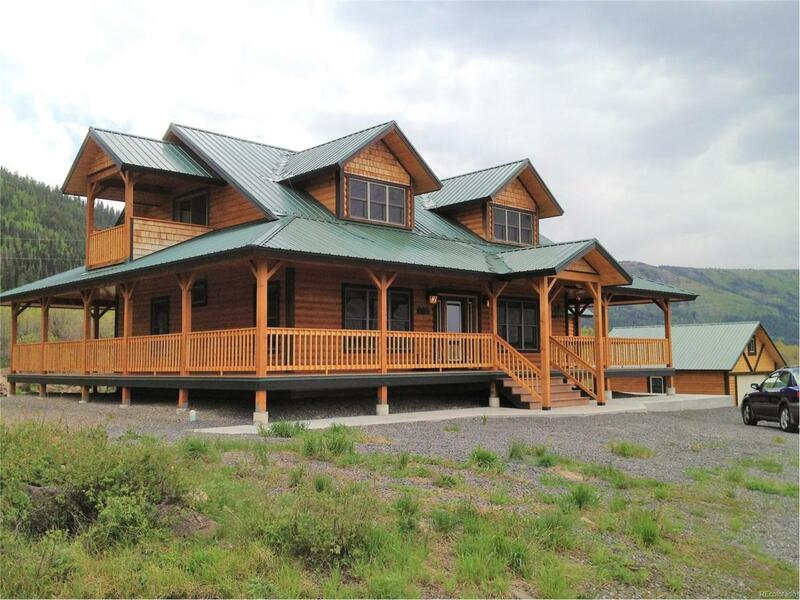 Sit back, relax and enjoy the unbelievable mountain and valley views from the wrap around covered deck. Pride of ownership is evident throughout! Live where you can play! Literally minutes from Powderhorn Ski Resort, close to hunting in GMU 421 or 41, and near all the other recreation Grand Mesa National Forest has to offer.